Where’s Waldo? 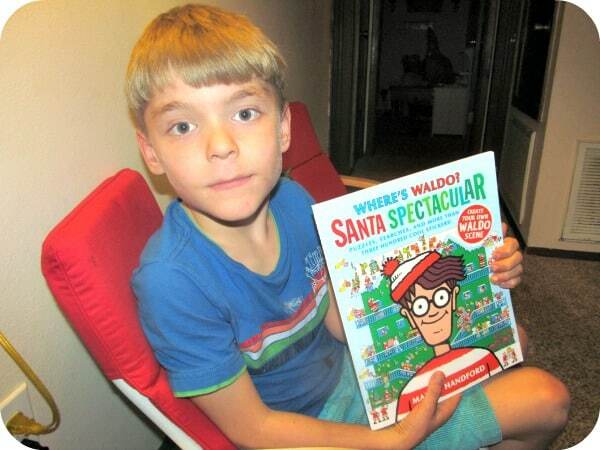 Santa Spectacular features everyone’s favorite character, Waldo and it includes a ton of puzzles, searches and over three hundred stickers. My kids had a blast creating their own Waldo winter theme and this book is a great way to keep kids occupied during winter break. It is available for purchase for only $6.99! 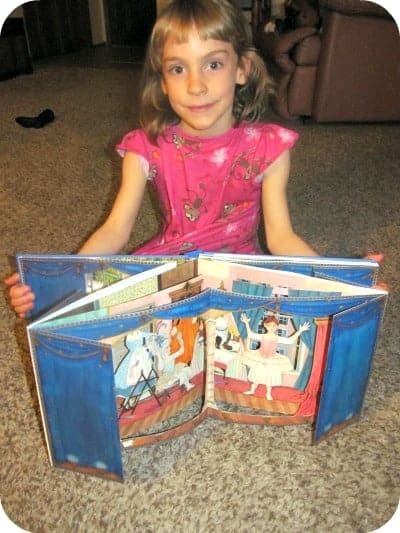 Cinderella-A Three-Dimensional Fairy-Tale Theatre by Jane Ray is absolutely awe-inspiring! This hardcover book has stunning backdrops such as the kitchen, dazzling ballroom and the palace gardens with six three dimensional scenes. My son read aloud this retelling to my daughter who loves to bring Cinderella’s world “to life” by setting up each scene and then role-playing. I love that this book encourages their imaginations and this book is extraordinary holding a special spot in our book collection. It is available for purchase for the SRP of $19.99. For adventure seekers like my seven year old son, The High Skies Adventures of Blue Jay The Pirate (SRP $17.99) by Scott Nash is a thoroughly enjoyable and exciting read. I love that this hardcover chapter book is great for readers in grades 4 through 8 but was also perfect for my 2nd grade son who can read chapter books but still likes larger print and the inclusion of full color print illustrations that are quite lovely. My son reads this book independently and at times requests that I read it to him aloud at bedtime when the little ones love to sit in and learn about the adventures of Captain Blue jay and his crew who battle the villainous crow, Teach and his gang of thugs. Bartholomew Biddle and the Very Big Wind (SRP $17.99) by Gary Ross and illustrated by Matthew Myers is such a unique book find for young readers. This is one epic children’s poem that takes an ordinary young boy on an extraordinary flying adventure in a “mysterious cove where the wind doesn’t blow”. The illustrations are captivating and all three of my children begged for more each night when I read a bit more from this wonderful book. You are invited to visit Candlewick Press to browse the entire selection of children’s books and purchase your favorites including any of the titles mentioned in this post. Great gift idea,I’ll have to check this out thanks! Thanks for the book suggestions. I think The High Skies Adventures of Blue Jay The Pirate would be a hit with my kids. The 3D Cinderella book is gorgeous! Nice review. My rugrat’s B-day is soon will check it out. Thanks.